How Is Rochester a Prison Town? "Can We Wait 75 Years to Cut the Prison Population in Half?" A talk by Nazgol Ghandnoosh, Senior Research Analyst at The Sentencing Project, a nonprofit organization engaged in research and advocacy for criminal justice reform. “Ending the era of mass incarceration" is an emerging consensus issue but what would it take to truly end mass incarceration? Looking at decarcerating trends in New York, New Jersey, and California the Sentencing Project’s Nazgol Ghandnoosh argues for a more robust approach than the ones presently on offer. Releasing “non-violent drug offenders” is a critical step, but if we are serious about ending mass incarceration, we need to meaningfully reform sentences for people convicted of violent crimes. At the Sentencing Project, Ghandnoosh has written about the declining prospects for parole on life sentences, racial perceptions of crime, and about best practices for eliminating racial inequality in the criminal justice system. She is finalizing a report featuring 15 reforms scaling back excessive penalties for violent crimes. 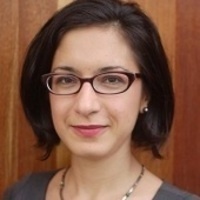 Ghandnoosh holds a Ph.D. in Sociology from the University of California, Los Angeles (2013) and regularly presents to academic, practitioner, and general audiences. Please contact sbai@rochester.edu if you require seating to attend, require space for a wheelchair, or require any other accommodations. Please submit requests for ASL interpretation by March 15, 2019.